Former infantryman Stewart Harris served with 1st Battalion The Welsh Guards. Whilst on tour in Afghanistan in 2012, a roadside bomb hurled Stewart’s vehicle into a ditch leaving him with brain damage; the impact of which has left him partially sighted and partially deaf. The same year he also witnessed three of his comrades shot dead by an Afghan policeman. Stewart was later diagnosed with Post Traumatic Stress Disorder before leaving the Army at the age of 30; the culmination of 13 years’ service. 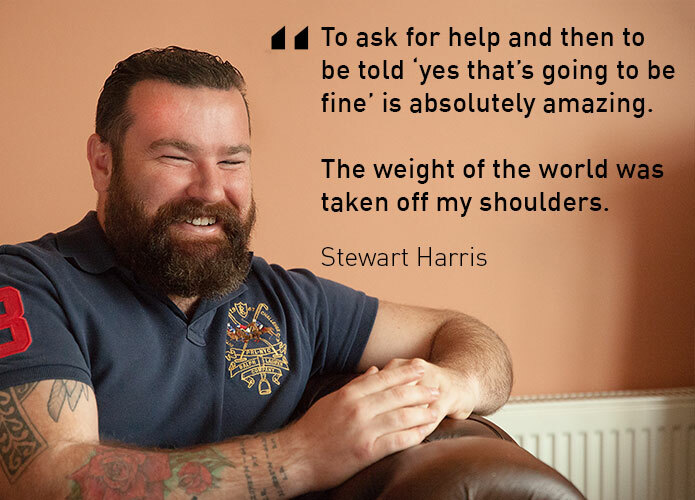 During his transition from Army to civilian life, whilst struggling to come to terms with his diagnosis, Stewart would experience further upset. In 2014 a burglary took place at Stewart’s home in Rhyl, north Wales which he shares with his wife, Rhian, and their two young daughters. The thieves took off with the family’s car, household items, as well as Stewart’s glasses, upon which he relies heavily since sustaining his injuries on tour. “Aside from being burgled which is a horrible feeling… when someone enters your house without you even knowing, where your children sleep…it haunted me for a long time…I took a massive step back [in my recovery]”. Stewart has been inspired to follow the path of his fellow injured veterans, Micky Yule and Andy Reid, and become a proud Ambassador for The Soldiers’ Charity. ABF The Soldiers’ Charity stepped in to help Stewart and his family during this upsetting time. The family were reliant upon the fixed income from Stewart’s Army pension, but the costs quoted by various security companies were simply beyond what the family could afford. The Soldiers’ Charity provided a grant towards the purchase and installation of CCTV cameras at the family home; assistance that was granted rapidly and without fuss: “To ask for help and then to be told ‘yes that’s going to be fine’ is absolutely amazing…The weight of the world was taken off my shoulders”. Further, once these security measures were in place, Stewart was granted the peace of mind to relax and get back into a routine, allowing him to continue to pursue a number of activities such as golf, a sport he particularly enjoys. As a result of such measures, Stewart was also able to turn his hand to fundraising for various service charities in a bid to give something back; a world away from being scared to leave his home. “To ask for help and then to be told ‘yes that’s going to be fine’ is absolutely amazing…The weight of the world was taken off my shoulders”. Since leaving the Army, Stewart has applied his love of a challenge and being part of a team. Testament to his commitment to being a role model, Stewart has climbed Mount Kilimanjaro and The Three Peaks and has been instrumental in introducing a new scheme within his local community: bringing in free swimming sessions for veterans at five council-owned pools in Denbighshire. Stewart is the Ambassador for The 2017 Cateran Yomp. He is now working for our Charity as the Briefing Liaison Officer for our regional office in Wales. 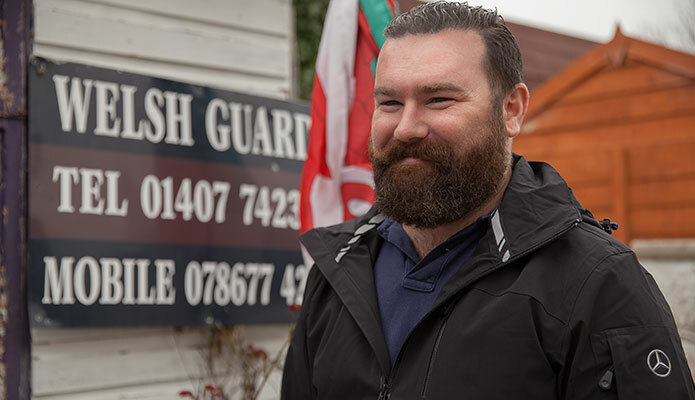 By making a donation you can help us support veterans like Stewart, and their families, to make a successful transition from the military to Civvy Street.